Four man and a woman were charged with breach of the peace. Four men and a woman have been charged with breach of the peace in connection with a mass brawl following an Old Firm game at Celtic Park. Police attended the large-scale disturbance on Blackfriars Street in Glasgow's Merchant City at around 5pm on Sunday, March 31. 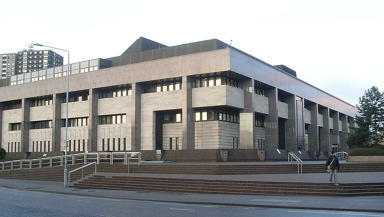 Five people were arrested over the incident, and all appeared at Glasgow Sheriff Court on Monday. Kahl Cullen, 23, Gemma Martin, 24, Andrew Quinn, 25, William Barclay, 27, and James Quinn, 20, were each charged with breach of the peace. All five offered no plea and were released on bail. They will appear back in court on a future date.